Sometimes you just can’t get past that blank page. It’s not that there isn’t plenty to write about on niches. It’s more you’ve run out of inspiration or just forgotten. This happens when you want to write an information post, not a review, in my experience. Fortunately, the internet is a great way to get a jump start on topic ideas. These are a great place to find questions people are asking about a niche. They often ask questions about problems or about products in the niche. It could be something like “What is the best “product type” for “getting clean”. In addition they can also help with providing information for including a blog post. Also, they help with learning the jargon too so describe things correctly. This all helps you to write about what people want to know and help to improve your blogs perceived authority too. This is great as you can type in a niche keyword or sub-niche or a related keyword to see what comes up. You’ve got Google auto-complete to help too with generating more ideas. Just start typing in the alphabet and see what comes up. There is often something that can spark an idea. You can use a tool like Jaaxy to help get more ideas too with the advantage of letting you know competition and search numbers too for any keyword. You can type in the ideas you’ve got from the other techniques discussed in this post for more ideas and also check competition and the number of searches too. You can always check out other blogs in your niche to see what they has been writing about. This isn’t about copying or re-writing their content. There might be a topic that you can give a different slant or view or better information. Or you could take a section of a post and expand on it or disagree with it. You can also see what people are asking in the comments section and every now and then you find something that is good to write on. As I have review blogs about physical products one of the sources inspiration is Amazon. 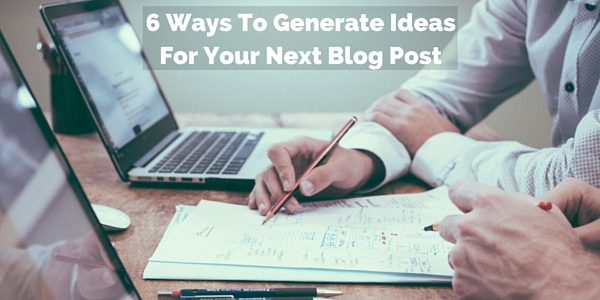 There are two sections that can be a source of great ideas for posts – questions and reviews. Although some of these points maybe addressed in your review there is often questions asked or points raised in reviews that are worthy of writing more about. These ideas may be similar to what you’ve found when looking at forums – but you can sometimes find something new and you’ve not thought about. Often this is the first place I go to before forums as they are more focused on buying problems rather than general information. It could be feature or a problem solved or an issue with a product and how it was solved. Related to keyword research and other blogs. But rather than searching Google for most popular blogs. There’s a few things that you can do here. First up is to type a keyword into Google as you’d normally do, then change the search using the search tools to be filtered for just those entries in the last week, 24 hours or hour if you want. This way you can write about something that has just happened in the niche – like a new product to be released. The other method is to change it to a news search by clicking that to see what has been talked about in the news again it is great for new products or research or opinions. Lastly there is setting up Google Alerts. You can set this up using Google for it to send you the latest news and posts on your niche so that they are sent directly to your email. You probably want to restrict it weekly to save on the emails. Also you might find that you get a lot of irrelevant stuff to, but there is some pearls in there. It does save you time too. This is an interesting technique I came across somewhere recently. I’ve not used it but it makes good sense. You put your niche or a topic in the center of a piece of paper and put 5 circles surrounding. In those circles you add content that includes these 5 words: what, why, who, how, and where. 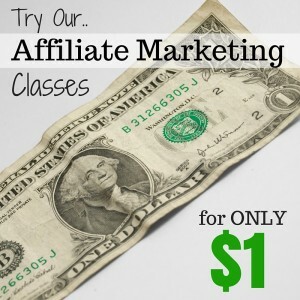 So if your topic is affiliate marketing you could have: What is affiliate marketing? Why you should do affiliate marketing? Who are the 5 best affiliate marketing experts? How do you do affiliate marketing? Where is the best place for affiliate marketing information? You can then go another level down and explore each of those 5 questions and so on for as long as you want. These methods normally find something you can write about or help generate a related idea to write about. They’re easy to do and effective. Don’t forget to note the ideas you generate if you come up with more than one, so you can come back to them when you need it. Also, you might want to have a notebook handy when the ideas come to you out of the blue. The times I’ve not done this and had a good idea while out and about or in the shower and forgotten by the time I’m next in front of the computer are just too many. Frustrating. So time for a notebook. Do you have any favorite methods you use that you find effective to generate ideas for information posts?